"Sky in a Box." 2014. Installation with projection of stop-motion clouds. From the group show, "Cognizant." Quimby Gallery, Lyndonville, VT. December, 2014. I created "Sky in a Box" after reading "The Poetics of Space," by Gaston Bachelard. Here, I am continuing an exploration of concept of the screen, the frame, space, and time. 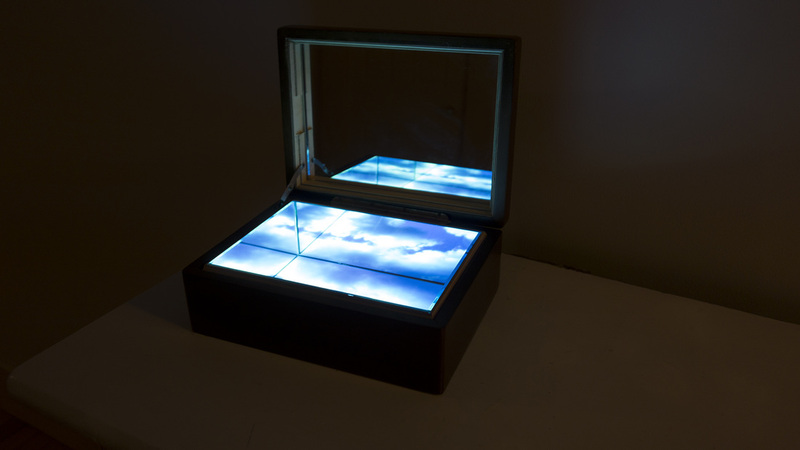 The stop-motion of cloud movement is projected from within the bureau. 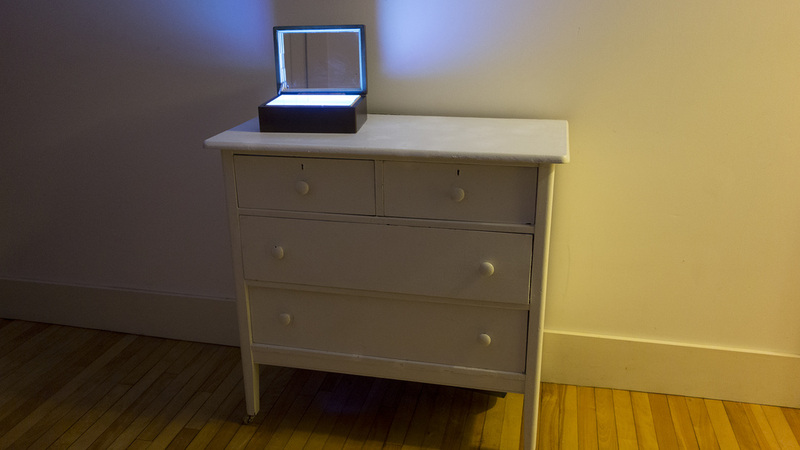 Various iterations of this piece allow the viewer to open the box, which contains infinite sky.